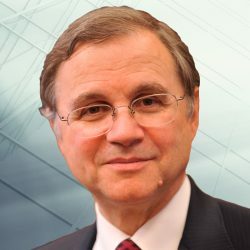 Ignazio Visco was appointed Governor of the Bank of Italy in November 2011, after a long career with the Bank that began in 1972. He is a member of the Governing Council and General Council of the European Central Bank (ECB), the General Board of the European Systemic Risk Board (ESRB), the Group of Seven (G7), the Group of Twenty (G20), and the Board of Directors of the Bank for International Settlements (BIS). Mr Visco is Governor for Italy on the Boards of Governors of the International Bank for Reconstruction and Development (IBRD), the International Development Association (IDA), the International Finance Corporation (IFC), the Multilateral Investment Guarantee Agency (MIGA), the Asian Development Bank (ADB), and Alternate Governor for Italy at the International Monetary Fund (IMF) and the Inter-American Development Bank (IADB). From 1997 to 2002 he was Chief Economist and Head of the Economics Department of the OECD. Mr Visco graduated from the University of Rome and obtained a Ph.D. in Economics from the University of Pennsylvania. The author of numerous articles and books on economics and finance, he also taught Econometrics and Economic Policy at “La Sapienza” University of Rome.